just another mommy blog...: Culinary Fight Club! 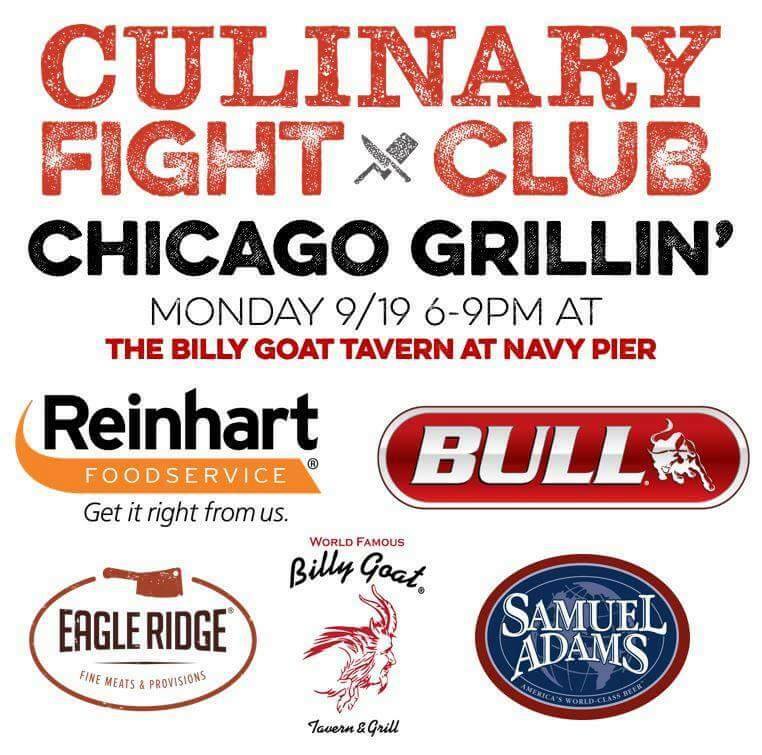 I don't often get excited for blogging events anymore, but when an invite to the Culinary Fight Club at Navy Pier came my way, I could NOT resist. 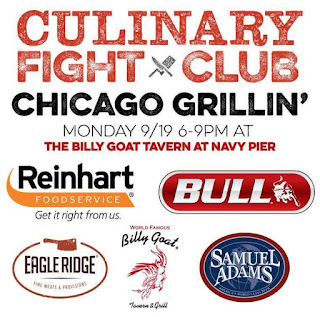 My eldest kid just so happens to be a foodie-wannabe-chef, so this Monday the two of us will be living it up at The Billy Goat Tavern, watching as 3 local chefs battle it out to see who can create the most amazing, perfect bite of food. AND WE GET TO SAMPLE IT, TOO! Honestly, I would have been happy enough with just the sampling of creative foods; but knowing that 20% of all Culinary Fight Club Chicago Event proceeds benefit feeding the hungry through the non-profit - Fight2Feed, well that just seals the deal on making this event a Must Not Miss for me. Interested? Tickets are still available!